"Funds must be used in a manner that supports directly ICANN’s Mission and Core Values and also allows ICANN to maintain its not for profit status." --ICANN's new gTLDs applicant guidebook--see this week's FEATURES further below. • Democrats nominated Hillary Clinton, during a week of sweltering temperatures in Philly. WikiLeaks' #DNCleaks caused the resignation of the DNC Chair, and even worse, exposed Hillary's "rigged" election in the primaries over rival Bernie Sanders, as well as collusion between the Democratic Party's DNC and establishment mainstream media. Mainstream media distortion and bias are now well-documented and widely recognized, and could backfire this year among a disaffected electorate. TV Ratings: Hillary Clinton's DNC Speech Falls Short of Donald Trump's RNC Speech in Viewers - HollywoodReporter.com: "DNC Day 4: 33.3 million; RNC Day 4: 34.9 million." Ipsos poll conducted for Reuters, July 25-29, 2016 (pdf) shows Clinton and Trump tied among likely voters in a 4-way race--Clinton, Trump, Stein (Green), Johnson (Libertarian)--and that Clinton and Trump have identical unfavorable/favorable ratings of 57% Unfavorable / 43% Favorable. See e.g., Clinton yet to tackle voter distrust issue | FT.com. There are 100 days left until Election Day November 8, 2016. • More terrorist attacks again this past week in Europe, see here and here. Thousands of German protesters prepare for Angela 'Merkel Must Go' demonstration | dailymail.co.uk: "They are calling for her resignation over open door immigration policy - Comes after four brutal attacks leaving nearly a dozen dead in one week - Three of the attackers were among 1.1million who entered as refugees ..."
• The Rio Olympic Games 2016 begin on Friday, August 5, and end on Sunday, August 21. Many problems, including pollution and crime and terrorism. • US economy grows less than expected in Q2 - Business Insider.com; while UK economic growth stronger than expected in Q2 - FT.com. See also Eurozone recovery loses momentum in second quarter | FT.com: "Data cast doubt on strength of revival as French economy grinds to halt ... [failing] to grow at all in the second quarter ..."
.WEB Auction: Early in the week, Ruby Glen, LLC (Donuts affiliate), applicant for new gTLD .WEB, struck out in its attempt to stop the new gTLD .WEB auction but the U.S. District Court threw it a "bone"--"the Court grants Plaintiff leave to amend the Complaint to attempt to establish federal subject matter jurisdiction" (more in ICANN Litigation Status Report below). See also: New gTLD WEB, Ruby Glen, LLC v. ICANN, Complaint & TRO Request. Verisign and its shareholders, for adding what many consider the most valuable of all new gTLDs, .WEB, to its offerings. The existing market potential for .WEB is HUGE--for example "web" -- site:*.com - Google Search: returns "about 1,900,000,000 results (0.48 seconds)"--examples: web.airdroid.com and web.whatsapp.com are potential customers for airdroid.web and whatsapp.web respectively. Also don't be surprised to see more new keyword+web .COM domain name registrations before .WEB even launches. 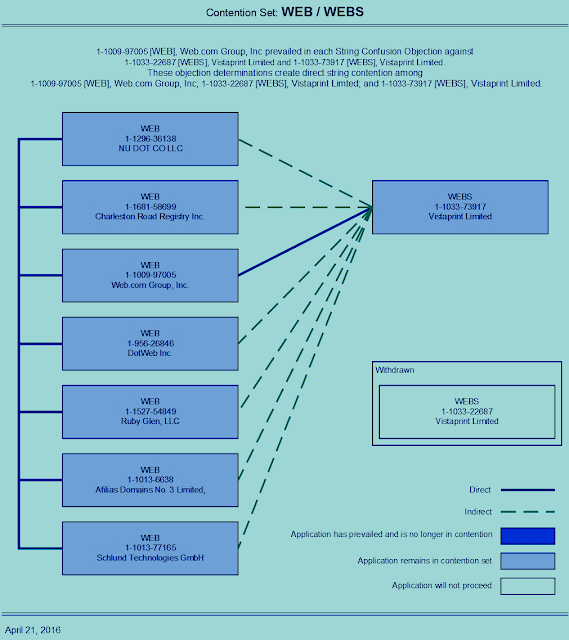 UPDATE: *What happens to the .WEB net proceeds out of that $135 million "winning price"? 27 July 2016 New gTLD .WEB Auction | ICANN.org: "The proceeds from New gTLD Program auctions, which will total more than $230 million [with .WEB net proceeds included]--[UPDATE: Total Net Auction Proceeds now held by ICANN $233,455,563]--are being reserved. The multistakeholder community will develop proposals for how these proceeds could be distributed. A community-based drafting team is currently working on a charter for a Cross-Community Working Group that will create recommendations for Board consideration"
Ruby Glen, LLC v. ICANN lawsuit filed in United States District Court for the Central District of California re: new gTLD .WEB. Status: Plaintiff's motion for TRO denied; Plaintiff granted leave to amend its Complaint and establish federal subject matter jurisdiction, by August 8, 2016, failing which, the action may be dismissed without prejudice. Analysis and opinion: this case was a loser from the get-go unless Plaintiff, an affiliate of new gTLDs registry operator Donuts, has more facts in support of its claims than indicated in the pleadings thus far. Plaintiff's failures to 1) properly plead federal subject matter jurisdiction, and 2) promptly serve and give notice to ICANN, as required by the court's rules, are telling. DotConnectAfrica Trust v. ICANN lawsuit filed in United States District Court for the Central District of California re: new gTLD .AFRICA. Status: jury trial (10-12 days) scheduled to begin February 28, 2017. Interlocutory appeals re: preliminary injunction are pending before the U.S. Court of Appeals for the Ninth Circuit. Dismissed defendant and appellant ZA Central Registry's opening brief was due July 22, 2016, but has not yet been posted on ICANN's website. The answering brief from appellee DotConnectAfrica Trust is due August 19, 2016, with optional reply brief due September 9, 2016. Analysis and opinion: this case stands as a black-eye and stain upon ICANN under the leadership of former CEO Fadi Chehade and his crony, Akram Atallah, who is still President of ICANN's Global Domains Division (which administers the application process for new gTLDs such as .AFRICA). In this case, ICANN--its Board of Directors, officers, staff, as well as the GAC--failed the global internet community. Hopefully ICANN has learned from this experience and will, in the future, maintain fairness, impartiality, objectivity and transparency, and also be cognizant of the inherent conflicts of interest, in all of ICANN's processes. ICANN should steer clear of geopolitics. Full Stop. Period. It is not the job of ICANN management to curry favor with governments--Brazil, China, U.S., France, E.U., etc.,--or any special interests, e.g., TheDNA.org, INTA.org, InternetAssociation.org, or any other particular party or stakeholder(s), on any matter within the scope and mission of ICANN. The job of ICANN is to carry out its mission only in accordance with the global public interest. That said, this litigation may produce good legal precedent for future enforcement of ICANN's release contained in the new gTLD guidebook (pdf). Ultimately, I expect .AFRICA will be delegated to ZA Central Registry unless this litigation produces more revelations of misconduct by ICANN or other parties. Ben Haim v. Islamic Republic of Iran; Calderon-Cardona v. Democratic People's Republic of Korea; Rubin v. Islamic Republic of Iran; Stern v. Islamic Republic of Iran; Weinstein v. Islamic Republic of Iran; Wyatt v. Syrian Arab Republic filed in United States District Court for the District of Columbia re: whether ccTLDs .IR (IRAN), .SY (SYRIA), and .KP (North Korea), are property subject to judicial attachment. Status: on appeal, oral arguments were heard January 21, 2016, now waiting for a decision from U.S. Court of Appeals for the D.C. Circuit. Analysis and opinion: This case is a wild card with potentially negative ramifications for ICANN. The U.S. government intervened with its own amicus curiae brief (pdf) in support of ICANN, but its motion to participate in oral arguments was denied by the appellate court. Ultimately, this case could end up before the U.S. Supreme Court. UPDATE August 2, 2016: US Court of Appeals Decision re: ICANN & Iran, Syria, North Korea ccTLDs | DomainMondo.com - Court of Appeals affirms District Court decision that the ccTLDs are unattachable, handing ICANN and the "global community" a legal victory in a case that could have jeopardized the IANA stewardship transition. • TheDomains.com reported this week that top-level domains .COM and .NET, both operated by Verisign, were the first "foreign" TLDs to be added to China's government-required real name verification (RNV) system, for use inside China by Chinese citizens. Reference Label Generation Rulesets (LGRs) for the Second Level: Close Date 1 Aug 2016 23:59 UTC. PTI Governance Documents: Close Date 7 Aug 2016 23:59 UTC. New gTLD dot WEB 'Last Resort' ICANN Auction: and the Winner Is? Amazon’s Profits Grow More Than 800 Percent, Lifted by Cloud Services | NYTimes.com: "... big profits thanks to the lucrative cloud computing business. On Thursday, Amazon reported net income of $857 million in its most recent quarter, the third quarter in a row in which it has shown a record profit. Its net income for those three months was also more than nine times the amount for the same period last year ..."
Yahoo And Verizon | SeekingAlpha.com: "The deal puts the price tag at $4.83 billion. 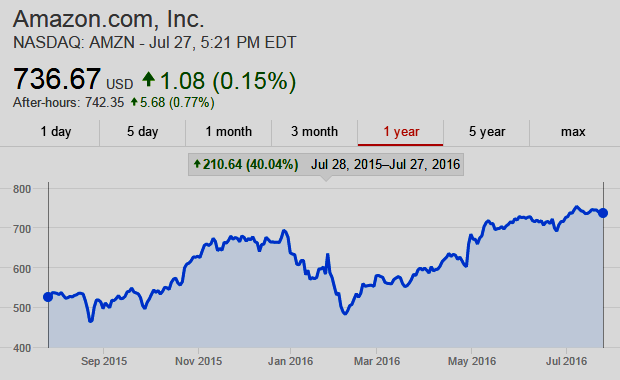 The move pulls Verizon further into the digital media realm. For Yahoo, it's a stunning fall from an Internet giant to a has-been put through a long sale process." See also: Rise and Fall of Yahoo $YHOO, What Happened, Missed Opportunities. Made in China: Four horsemen of the iPhone apocalypse | ZDNet.com: "Today it's the $100 value handset. Tomorrow it will be the $200 premium smartphone. There's nothing left for the traditional device OEMs with those kind of margins. Huawei, ZTE, Xiaomi and Lenovo are coming, and Apple and Samsung can't stop them." Why [Public] Pensions’ Last Defense Is Eroding | WSJ.com: Low interest rates "... pension critics have more ammunition to argue for more aggressive benefit cuts, said Daniel DiSalvo, a senior fellow at the Manhattan Institute, a conservative think tank that supports 401(k)-style options for public pensions." See also Congress must address public pension plan unfunding - Pensions & Investments | pionline.com. Keep up with the U.S. Election 2016 on Domain Mondo's election page. Video above: Marissa Mayer, chief executive officer at Yahoo (principal domain: yahoo.com), discusses Verizon's $4.83 billion acquisition of Yahoo's web business, how she envisions her role at the new company, the legacy of Yahoo on the web, and reflects on her experiences at Yahoo. She speaks with Bloomberg's Emily Chang on "Bloomberg ‹GO› on July 25. Infographic above courtesy of VisualCapitalist.com: The saga surrounding one of the world’s most recognizable internet stocks has come to a close. Yahoo $YHOO has finally sold its operating business to the highest bidder. The winner was Verizon – and the price was $4.8 billion. That’s worth less than 1% of the company it had multiple opportunities to buy: Google (now Alphabet). WHAT HAPPENED? Technology changes fast, and successful companies must leverage smart acquisitions in building for the future. Facebook bought Oculus Rift and Instagram, and Google bought companies like Youtube and DoubleClick. YAHOO'S MISSED OPPORTUNITIES: In 1998, Yahoo was approached by two young Stanford Ph.D. students to buy their search engine algorithm. Larry Page and Sergey Brin had created PageRank – a quick way to find the most relevant website for a given search query. Yahoo skipped out on buying it for $1 million, rationalizing that it would take people off of Yahoo’s website, while decreasing traffic and ad revenues. Even later on when Google’s search business was well-established, Yahoo CEO Terry Semel balked at Larry and Sergey’s $1 billion asking price. He would eventually agree to it, but by then it was too late. The Google guys had already decided to up their price to a heftier $3 billion. Around that same time, Yahoo was turned down by a 22-year-old Mark Zuckerberg. Yahoo offered to buy Facebook for $1 billion, but Zuckerberg declined. This was a moment that billionaire Facebook investor Peter Thiel lauds as the major turning point for the company that allowed it to become the behemoth it is today. Some sources even say that if the offer was increased to $1.1 billion, that Facebook’s board would have forced Zuckerberg to take it. But it’s not just the offers made that were missed opportunities. Yahoo also turned down a hostile takeover from Microsoft in 2008 for $44.6 billion that valued the company for far more than it is worth today. ALIBABA: In 2005, Yahoo bought a 40% stake in emerging online retail company Alibaba, which makes up the majority of Yahoo’s market capitalization today. In the context of the recent Verizon deal, the Alibaba shares are likely being spun off into a separate investment vehicle. Video above: Scott Galloway, NYU Stern Marketing Professor. Video published July 28, 2016, by L2inc.com. Loser: Established CPG [ConsumerPackaged Goods] companies. Brands like L'Oréal Paris and Gillette are rapidly losing share to smaller, more agile rivals skilled at maximizing search visibility. Who's winning in dating apps? Match Group, which owns 64% of the app ecosystem, including OKCupid and Tinder. A loser: established CPG [consumer-packaged goods] brands. 90 of the 100 largest CPG brands in the US lost share in the past year and two-thirds registered sales declines. The reason? Traditional advertising no longer works. Who's winning? Smaller brands with agile product innovation that digital - specifically search - rewards. Two examples: NYX, who outperforms L'Oréal Paris 3 times in organic search visibility despite only bidding on 129 terms, versus 60,000 terms for L'Oréal Paris or Harry's, who in 5 short months jumped from number 9 in organic search visibility to number 3 as Gillette fell to second and Amazon secured the top spot. So what's going on here? In sum, the diligence vehicles of Amazon reviews and Google search make it easier to connect you and the right product without having to default to the safety of a brand. A loser: Specialty Retail brands who email too much. If your inbox feels overwhelmed, that's because it is. Retailers sent 15% more emails in Q1 2016 than during the overwhelming holiday season. But more isn't always better. With each additional email campaign, open rates declined by 15 basis points. Asking consumers explicitly and implicitly for additional information - such as you can customize the content and the email - is a winning strategy. Everyone knows raising a child is expensive, but the complexion of that cost has changed dramatically in the past 50 years. I've told both my sons they need to start pulling their weight. Lorde wrote a Grammy-nominated song when she was 13. My kid at nine still lets the bath overflow - even when he's in it. Parents are spending less on food, transportation, and clothing but childcare and education costs have surged, accounting for a fifth of parental expenses - a big change from 1960, when they were just 2%. The most affordable place in the US to raise a child? Morristown, Tennessee, where a family of 4 can meet their basic needs on $50,000 a year. That's half the required income necessary to raise a family in New York or Washington, DC. Dating apps: winners or losers? By the way, my nickname around here is Swipe Left. It depends which one you're on and what you're looking for. Let''s look at some of the data. Tinder is the most popular and Happn has the most daily engagement. Christian Mingle has the highest proportion of women. Grindr has the lowest churn rate and eHarmony has the highest. But who really wins? Match Group, which owns 64% of the dating app ecosystem. I can save you some money. This is literally a fail-safe way to approach women. You walk up. Scott. Scorpio. Never fails. 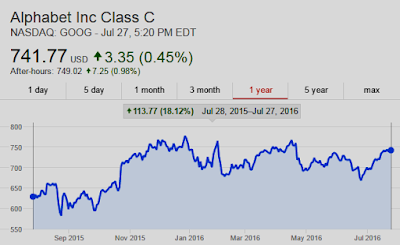 Above video: Alphabet 2016 Q2 Earnings Call - Starts: July 28, 2016 at 4:30 p.m. EDT - Alphabet (Google) has a slowing search business, losses from its “moonshot investments” are detrimental to shareholder value, and troubles in Europe could be a long-lasting problem. 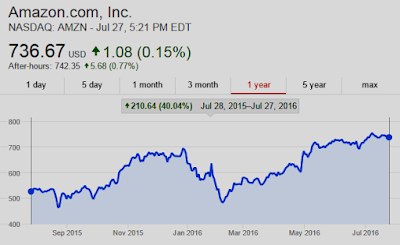 Investor Relations: abc.xyz/investor - Alphabet Inc., quarterly conference call to discuss second quarter 2016 financial results, Thursday, July 28th at 4:30 p.m. EDT (1:30 p.m. Pacific Time). The LIVE webcast of the earnings conference call can be accessed here. A replay of the webcast will be available through the same link following the conference call. 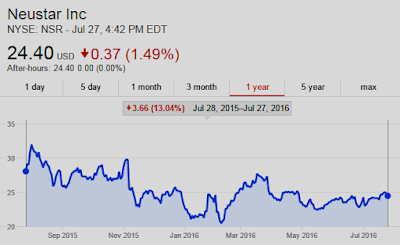 Visit the Investor Relations website at abc.xyz/investor on July 28, 2016 to view the earnings release prior to the conference call. 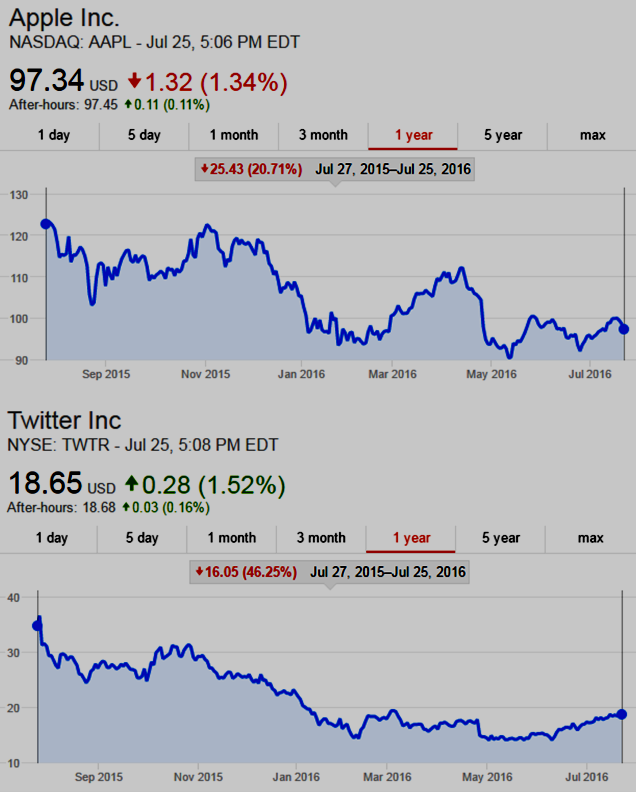 Twitter feed $GOOG OR $GOOGL. UPDATE: Verisign Q2 EPS of $0.87 beats consensus estimates by $0.01. Revenue of $286.47M (+9.1% Y/Y) beats by $2.27M. Shares UP after-hours. 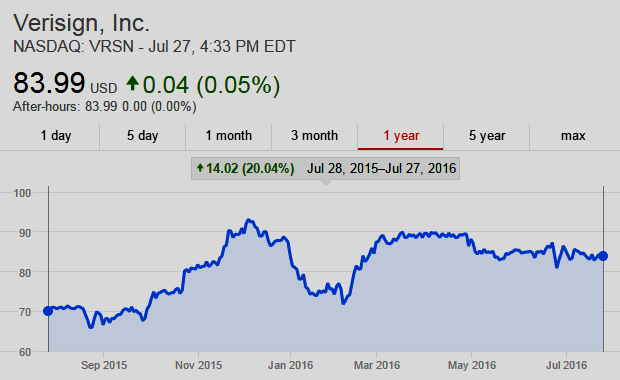 VeriSign's (VRSN) CEO Jim Bidzos on Q2 2016 Results - Earnings Call Transcript | SeekingAlpha.com. • Verisign ended the second quarter with cash, cash equivalents and marketable securities of $1.9 billion, a decrease of $8 million from year-end 2015. • Cash flow from operations was $161 million for the second quarter of 2016, compared with $175 million for the same quarter in 2015. • Deferred revenues on June 30, 2016, totaled $988 million, an increase of $26 million from year-end 2015. 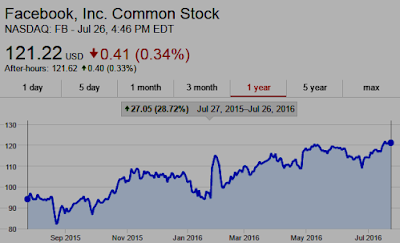 • During the second quarter, Verisign repurchased 1.7 million shares of its common stock for $150 million. At June 30, 2016, $766 million remained available and authorized under the current share repurchase program which has noexpiration. • For purposes of calculating diluted EPS, the second quarter diluted share count included 21.9 million shares related to subordinated convertible debentures, compared with 17.0 million shares for the same quarter in 2015. These represent diluted shares and not shares that have been issued. .com and .net domain names in the domain name base, which represents a 7.3 percent increase over the base at the end of the second quarter in 2015. • In the second quarter, Verisign processed 8.6 million new domain name registrations for .com and .net, as compared to 8.7 million for the same quarter in 2015. • The final .com and .net renewal rate for the first quarter of 2016 was 74.4 percent compared with 73.4 percent for the same quarter in 2015. Renewal rates are not fully measurable until 45 days after the end of the quarter. • Verisign announces an increase in the annual fee for a .net domain name registration from $7.46 to $8.20, effective Feb. 1, 2017, per its agreement with the Internet Corporation for Assigned Names and Numbers (ICANN). UPDATE August 2, 2016: Total Net Auction Proceeds now held by ICANN $233,455,563 (including .WEB). "Subsequent to June 30, 2016, the Company incurred a commitment to pay approximately $130.0 million for the future assignment of contractual rights, which are subject to third-party consent. The payment is expected to occur during the third quarter of 2016." FORM 10-Q - VeriSign, Inc. If true, the third-party referred to above, would be ICANN. In addition, all of this may have some bearing on whether Ruby Glen (Donuts) decides to amend its complaint and continue its U.S. District Court case--see New gTLD WEB, Ruby Glen, LLC v. ICANN, Complaint & TRO Request | DomainMondo.com. Verisign acquires Network Solutions for $21B - March 7, 2000: "VeriSign Inc. agreed to acquire Network Solutions Inc. for $21 billion in stock." IMAGE ONLINE DESIGN, INC. [IOD] vs. ICANN (2013) (pdf) see also IMAGE ONLINE DESIGN, INC. v. INTERNET CORPORATION FOR ASSIGNED NAMES AND NUMBERS | Leagle.com: "... On November 16, 2000, ICANN's Board of Directors issued its decision on new TLDs, identifying seven selected for the "proof of concept phase." The TLD .WEB was not selected. (Id.) At some time during the deliberations in 2000, the then Chairman of the Board of Directors Dr. Vincent Cerf stated, "I'm still interested in IOD. They've worked with .WEB for some time. To assign that to someone else given that they're actually functioning makes me uneasy ..."
946 WEB 1-1009-97005 (In Auction) Web.com Group, Inc.
Facebook Q2 2016 Earnings results after market close on July 27. According to Zacks Investment Research, based on 8 analysts' forecasts, the consensus EPS (earnings per share) forecast for the quarter is $0.62. The reported EPS for the same quarter last year was $0.3. More info: nasdaq.com/symbol/fb. LIVE Webcast of the Conference Call: Wednesday, July 27, 2016 5:00 pm EDT. Following the call, a replay will be available at the investor relations website* (see below). A telephonic replay will be available for one week following the conference call at 404.537.3406 or 855.859.2056, Conference ID: 41929608 (source: Facebook press release). UPDATE 27 Jul 2016: Q2 2016 EPS of $0.97 beats consensus estimate by $0.15. Revenue of $6.44B (+59.4% Y/Y) beats consensus estimate by $420M. Shares are UP in after-hours trading. Press Release (pdf). Facebook (FB) Mark Elliot Zuckerberg on Q2 2016 Results - Earnings Call Transcript | SeekingAlpha.com. 3M MAUs added in Q2 (1M more than expected). 313M total MAUs, 66M in United States (+1% Y/Y) and 247M globally (+4% Y/Y). +226% Y/Y change in ad engagements. -64% Y/Y change in cost per ad engagement. Revenue of $602M (+20% Y/Y) . 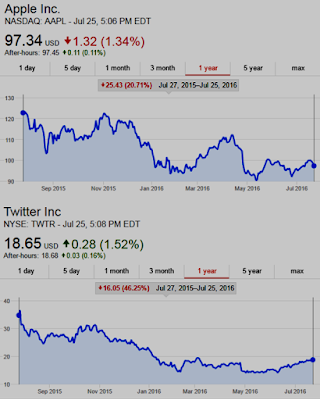 The company will be following the conversation about the earnings announcement on Twitter. To have your questions considered during Q&A, Tweet your question to @TwitterIR using #TWTR. Twitter has used, and intends to continue to use, its Investor Relations website and the Twitter accounts of @jack, @twitter and @TwitterIR as means of disclosing material non-public information and for complying with its disclosure obligations under Regulation FD. UPDATE: In Ruby Glen, LLC v. ICANN, U.S. District Court Denies TRO, .WEB Auction is ON! See New gTLD dot WEB 'Last Resort' ICANN Auction: and the Winner Is? | DomainMondo.com. 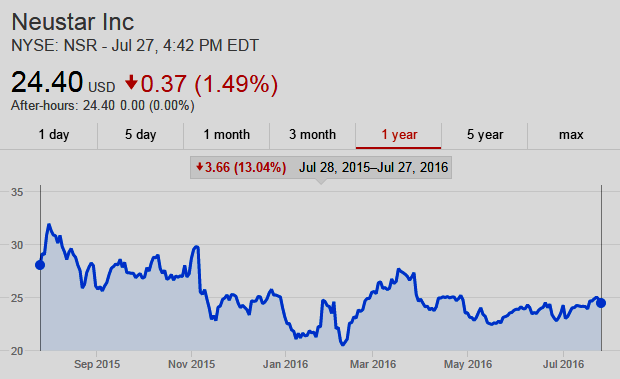 Also on Domain Mondo: New gTLD dot WEB 'Last Resort' ICANN Auction: and the Winner Is? "33. Plaintiff seeks a declaration of its rights regarding the enforceability of the Purported Release in light of California Civil Code Section 1668, which prohibits the type of broad exculpatory clauses contained in the Purported Release: “All contracts which have for their object, directly or indirectly, to exempt anyone from responsibility for his own fraud, or willful injury to the person or property or another, or violation of law, whether willful or negligent, are against the policy of the law.” 34. Plaintiff maintains that, on its face, the Release is “against the policy of the law” because it exempts ICANN from any and all claims arising out of the application process, even those arising from fraudulent or willful conduct." Published on Jul 22, 2016: Now that the UK has a new government, Theresa May and her ministers have been looking further afield as the country prepares to negotiate its way out of the EU. James Blitz rounds up the week’s Brexit news. CNN.com: [UK Prime Minister] May reiterated her commitment to Britain leaving the EU, following the vote to do so in a referendum last month. But although the country is leaving the EU, she said, "The United Kingdom is not leaving Europe. "I'm very clear, Brexit does mean Brexit," she said. "We will make a success of it. What we need to do in negotiating the deal is ensure that we listen to what people have said about the need for controls on free movement. But we also negotiate the right deal, and the best deal for the trade of goods and services for the British people." She also stressed that Britain should not be limited by focusing exclusively on its relationship with its European neighbors but should instead look to build beneficial ties throughout the world. UK explores multi-billion pound free trade deal with China | BBC.com: "[UK] officials are looking at New Zealand's free trade agreement with China which took four years to negotiate and came into effect in 2008. Care would have to be taken over security concerns and the possibility of China "dumping" cheap imports in the UK - for example steel.... At the G20 many countries are now moving into practical mode ... [Brexit vote is] now a matter for the history books. The British public have spoken. The present challenge is seeing how the fifth largest economy in the world can take advantage of that decision, rebuilding a "close" trading relationship with the EU and new economic relationships with countries, like China, which, it should be remembered, has never had a free trade agreement with any EU country." See also: News Review [24Jul] | DomainMondo.com: As noted before on Domain Mondo, the EU actually needs the UK more than the UK needs the EU (which is why the UK, instead of EU-dependent Greece, will be the first member state to leave the EU)... UK Property Market Proves Resilient post-Brexit and One month after Brexit: ... "little Brexit effect on [UK] retail sales growth" and ecommerce transactions "showing similar growth rates to those before the referendum." "If one wanted to capture ICANN on a single issue, or a group of interrelated issues, the most practical tactic might be bribery"--John C. Coffee Jr., Columbia University Professor of Law, see this week's FEATURE further below. • GOP nominates Trump: Peter Thiel at the 2016 RNC: "... Across the country, wages are flat. Americans get paid less today than 10 years ago ... Our economy is broken ... our government is broken ... We don't need to see Hillary Clinton's deleted emails; her incompetence is in plain sight. She pushed for a war in Libya, and today it's a training ground for ISIS. On this most important issue, Donald Trump is right, it's time to end the era of stupid wars and rebuild our country ... Of course, every American has a unique identity. I am proud to be gay. I am proud to be a Republican. But most of all, I am proud to be an American! I don't pretend to agree with every plank in our party's platform, but fake culture wars only distract us from our economic decline. And nobody in this race is being honest about it except Donald Trump ... Tonight, I urge all of my fellow Americans to stand up and vote for Donald Trump." See also Ivanka Trump's speech (video) that set social media abuzz. More at: LIVE Video: Tech Entrepreneur & VC Peter Thiel Speaks at #RNCinCLE. A Reuters/Ipsos poll of likely U.S. voters shows Clinton and Trump virtually tied (within margin of error). • Turkey is in turmoil: "Turkey’s president is destroying the democracy that Turks risked their lives to defend." --Erdogan’s revenge | Economist.com. • Ireland Hits Brexit Alarm in Biggest Foreign Crisis in 50 Years | Bloomberg.com: "The prime minister is under pressure, economists are slashing growth forecasts and companies are warning of Brexit’s dire consequences. London? No, Dublin. The intertwining of trade and finance means no other country is feeling the fallout from the U.K.’s vote to leave the European Union more than Ireland." See also: Europe’s hedge-fund industry contracted for a sixth straight quarter "shrinking the industry to fewer than 4,000 funds." As noted before on Domain Mondo, the EU actually needs the UK more than the UK needs the EU (which is why the UK, instead of EU-dependent Greece, will be the first member state to leave the EU): see UK Property Market Proves Resilient post-Brexit and One month after Brexit: what we know about the UK economy | FT.com: "little Brexit effect on [UK] retail sales growth" and ecommerce transactions "showing similar growth rates to those before the referendum." 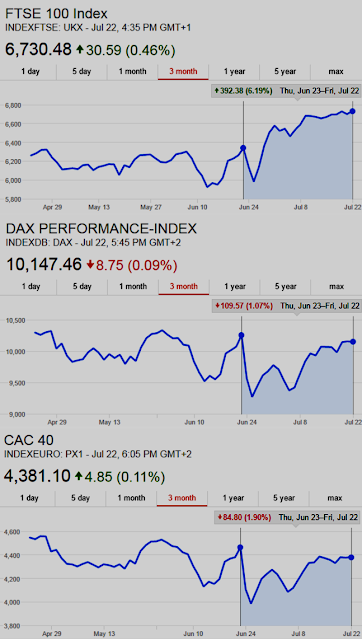 Markets in Europe since the June 23rd Brexit vote: UK's FTSE100 UP +6.19%; Germany's DAX DOWN -1.07%, France's CAC40 DOWN -1.90%, as of Friday, July 22. "Any waiver of registry operator fees in the arbitrary and sole discretion of ICANN management and staff is an open invitation to graft, corruption, and kick-back schemes reminiscent of the FIFA scandals. ICANN lacks a comprehensive and effective conflicts of interest and code of conduct applicable to every ICANN employee, and ICANN may have already engaged in questionable, if not illegal, behavior." 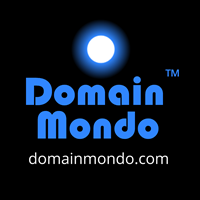 --John Poole, Editor, Domain Mondo, Comments to ICANN Proposed Amendments to Base New gTLD RA (emphasis added). "[W]ho is this "global multistakeholder community"? Ultimately, it is a strange collection of supporting organizations and advisory committees, populated by dreamers, cultists, ideologues, geeks and the Internet's largest commercial users (e.g., Microsoft, Amazon, Apple, etc.)." "The CCWG [Accountability] proposals largely dispensed with the business judgment rule and made everything appealable to a broad community of stakeholders. The key CCWG "reform" was the creation of a new body, literally called the "Empowered Community" ... Nothing in this structure strikes this author as optimal, and the efficiency loss for ICANN could be considerable." "Ironically, the one prospect that does seem unlikely under this new structure is ICANN's capture by a single government or a narrow interest group ... ICANN has been given so many checks and balances that it is difficult to imagine a hostile takeover. Nonetheless, symptomatic of the dysfunction in our political process, it is this least likely scenario that Congress may choose to debate." • Unwanted & Unneeded New gTLDs: WorldTrademarkReview.com on ICANN's Phase 2 Global Consumer Research Survey conducted by Nielsen: "... the real measure of how relevant new gTLDs are is surely the level to which people actually use them, rather than simply the level to which they are aware of their existence. And on this point, the findings look less positive for ICANN ... In total, reported visits to new gTLDs have decreased year-on-year ... people are visiting new gTLDs less than they were one year ago ... By contrast, visits to legacy TLDs [e.g., .COM, .NET, .ORG] were up across the board ..."
• Reconsideration Request to delay .WEB auction DENIED (pdf): Requesters, Ruby Glen, LLC and Radix FZC, submitted a reconsideration request seeking urgent reconsideration of ICANN’s decision not to delay the .WEB/.WEBS auction (scheduled for 27 July 2016) following ICANN’s investigation into alleged material changes in Nu Dot Co LLC’s (Nu Dot’s) application for .WEB. More information: Auction for 1 Contention Set [.WEB/.WEBS] Slated for 27 July 2016 | ICANN.org. UPDATE: see New gTLD WEB, Ruby Glen, LLC v. ICANN, Complaint & TRO Request | DomainMondo.com and New gTLD dot WEB 'Last Resort' ICANN Auction: and the Winner Is? | DomainMondo.com. • Dot AFRICA: ICANN and ZACR Appeals Consolidated "the parties’ joint motion (Docket Entry No. 5) to consolidate Nos.16-55693 and 16-55894 and to amend the briefing schedule is granted. The opening brief in No. 16-55693 has been filed. The opening brief in No. 16-55694 is due July 22, 2016. The answering brief is due August 19, 2016. The optional reply brief is due September 9, 2016." ICANN Fellowship Program Application Process Review Close Date 29 Jul 2016 23:59 UTC. Draft PTI Articles of Incorporation Close Date 31 Jul 2016 23:59 UTC. • ICANN Call for Expressions of Interest to Host ICANN Meetings in 2019 and 2020 | ICANN.org: "ICANN is actively seeking hosts for its public meetings to be held in 2019 and 2020 in Europe, Africa, Asia/Australia/Pacific, North America and Latin America/Caribbean. Those in the geographic regions are invited to submit expressions of interest for specific locations to hold the events." More information at the link above. Attackers launch multi-vector DDoS attacks that use DNSSEC amplification | CIO.com: "The domain owners themselves are not at fault and don't feel the effects of these attacks ... Attackers abuse open resolvers by sending a barrage of spoofed DNS queries where the IP source is set to be the MIT target IP. Most of these servers will cache the initial response so multiple queries are not made to the authoritative name servers." Google, Trying to Endear Itself to Europe, Spreads Cash Around | NYTimes.com: "... Google has been staging a full-court press in Europe to finance everything from start-up offices to YouTube-sponsored music concerts, trying to remake its image in the region as it battles a mounting list of [EU antitrust claims] regulatory woes. Those efforts represent a campaign of “soft lobbying” where instead of, or alongside, paying registered lobbyists to advocate its case in the corridors of power, a company looks to change the minds of the public at large ... the company has ramped up its campaign in recent years, earmarking about $450 million from 2015 to 2017 ..."
Verizon is close to buying Yahoo for $5 billion as a ‘safe bet’ | Recode.net: "The plan is to combine it with AOL" but investors should read SeekingAlpha.com: "The telecom sector remains a defensive industry with muted growth prospects. The largest players in the industry, T [AT&T]and VZ [Verizon], return a significant portion of their free cash flow to investors via a quarterly dividend. The industry requires a consistent outlay of Capex to upgrade and maintain their networks often requiring copious amounts of debt." Keep up with the Democratic Convention in Philadelphia this coming week, on Domain Mondo's election page.